Peter Maloney is the principal of Maloney's Property. 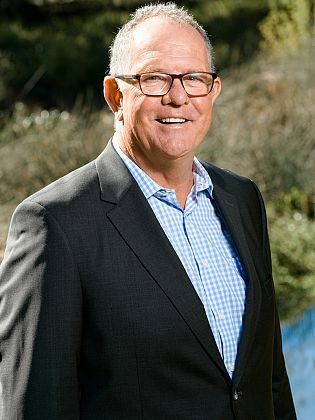 Recognised as an industry leader in the field of real estate sales & property management, Peter has spoken and hosted several key note events in these areas of expertise. More than just the director of Maloney's Property, he is a company crusader. He is a true real estate professional, a fantastic judge of character, and has a knack for sizing people up and knowing how to put them at ease. Highly capable in all facets of the real estate industry and management, he motivates others easily and prides himself on working on the business as well as in the business. Through being hands on manager, Peter is actively involved in developing systems for property management, mentoring staff and extracting profits for vendors when acting as the company auctioneer. Peter's relaxed and witty style of auctioneering helps put vendors and buyers at ease and he has produced many outstanding results in his twenty plus years of performing. Peter has an open door style of management, acknowledging the importance of constant learning and growth for every individual, team and company, and invites the opinions of others to facilitate this. He is extremely loyal to both his clients and staff and always works towards the best possible outcomes in all situations. Peter has a thirst for knowledge and he consistently strives to implement new marketing ideas and develop his business. From this point of view he is genuinely committed to customer service. He has a strong reputation for negotiation, an enormous capacity for goal achievement, great communication skills and is highly regarded as a smart business man. Spend an hour or two with Peter and you will find his passion for people and real estate infectious. A great opportunity to enter the Woden Valley market. The 'Brighton' way of life! Secluded yet convenient, Blink and you will miss it! Convenient living in the south. Investment or Move in ready? Perfect family haven – Sunshine & Gardens awaits! Convenient living – In stunning Griffith! Ground Floor, Spacious, Location - ticks all the boxes ! One of the few left! Lakeside Luxury - Price Reduction !! Great Apartment with Spectacular Views! Perfect start with potential plus! Pool, Gym and Tennis Court!